Razor bumps will easily show up after a shave – and they have no manners as they show up even around the bikini area, what a disservice! Razor bumps consist of hairs that do not grow above the skin, but they extend out of the hair follicles and grown under the skin, resulting in lumps of flesh that are usually swollen and reddened. Well, they can come about because of numerous reasons, especially if you use an old razor or do the shaving the wrong way. With the sensitivity of this region, here are a few quick tips on how to get rid of razor bumps around the bikini area. Prevention is better than cure – do you better get it right in the first place. If you have been using one razor for multiple shaves, the problem starts here. Ensure that you change your razor and use a new razor for every shave. Ensure that you are shaving the hairs in the right manner, reversing the procedure will definitely get you on the wrong foot. Also ensure that you have the right shaving cream and apply the right after shave immediately after shaving. This will minimize the possibility of any bumps occurring. Choose cotton pants or breathing clothes. While wearing tight synthetic clothes may seem pleasant and fashion like, it is actually not the right way to do it. Keeping your hair regions or any other part of the skin too tight and under poorly-aerated fabrics will force a change in the way the hair grown and behave. Ensure you use cotton garments that will ensure free circulation of hair and promote healthy hair growth. This in turn minimizes the chance of razor bumps appearing. Witch hazel is a very strong anti-septic that naturally encourages proper hair growth and prevents any abnormal hair growth after shaves. To get the better of it, clean the affected area, preferably with warm water followed by a direct application of it. It will also help to reduce irritations as well as the redness in the affected area. Aspirin has also been found to be a vital alternative to majority of the remedies in treating razor bumps. To use, take two teaspoons of warm water in a cup. Place two pieces of aspirin in the cup and allow it to dissolve until it forms a slow flowing paste. Clean the affected area and use a clean piece of cloth to apply a thin sheet of the paste on it. Allow it to stay for two to three hours then rinse off with clean water. 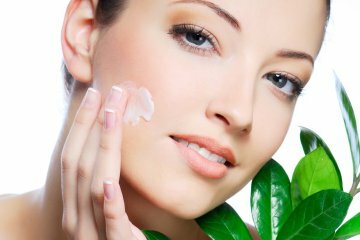 Hydrocortisone cream is known for its effective anti-inflammatory effects that also help soothe irritated skin. The cream is sold in majority of the drug stores and can be bought for multiple reasons. To use this cream, wash off the area with warm water and use a clean cloth to apply it evenly. Hot compresses are effective at opening skin pores to free trapped hair and ensure that it grows above the skin. Use a clean towel and dip in boiling water before pressing it on the affected region repetitively. Next ArticleDoes coffee make you gain weight? How to get rid of razor bumps on the neck?